We offer a wide variety of cosmetic and restorative dental services for our patients so that each person has a customized and unique encounter when visiting our office. We offer Invisalign® clear aligners for teeth straightening, CEREC® same-day crowns, inlays and veneers, teeth whitening, dental implants, and much more. Not to mention, we provide dental cleanings and periodontal care like root canal therapy and laser gum sculpting. Dr. Staffel is certified to use nitrous gas, and has a Level II sedation permit so that our patients, when needed, can have a pain and stress-free experience. Dr. Scott Staffel is an exceptionally well-trained cosmetic dentist, who makes creating smiles look easy. He has spent his career making dreams come true and beautiful smiles a reality. 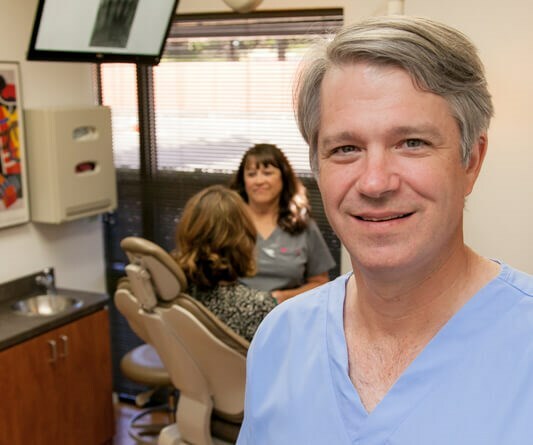 Born and raised in San Antonio, TX, Dr. Staffel is a Texas native, and he earned his dental degree at the Baylor College of Dentistry in 1995. He maintains his comprehensive and preventative dental practice in Bedford, TX, and offers laser dentistry, sedation dentistry, and Invisalign® braces. An award-winning dentist, Dr. Staffel was named a "Top Rated Dentist" in Bedford, TX in 2016. Ok, I dread visiting the dentist. For that reason, I have neglected my teeth which lead to needing a root canal. I was nervous but Dr. Staffel did the needed work with no discomfort. I was pleasantly surprised by the work and very happy with the final result. Great office, dentist and staff. I have gone to Dr. Staffel for ever since he started his practice here in north Texas. I have always been very satisfied with his work and the friendly atmosphere at his practice. I would definitely recommend him and his practice for any dental work you might need. Dr Staffel and his staff are very good at their profession. They welcome you and treat you with great care. Our dental practice at Staffel Dental is based on the belief that our patient's needs are the most important, and our entire dental team is committed to meeting those needs. As a result, we create beautifully strong smiles and guide the way for healthy gums and teeth for our patients of all ages. See our before and after photos in our gallery. Read reviews from our awe-inspiring patients. Learn more about our hard-working team. Explore our Bedford, TX office at Staffel Dental.